Born and raised in Montgomery County, Heather has spent the last 18+ years serving Montgomery County in various roles. She currently serves as executive director for the Montgomery County Visitors & Convention Bureau. The MCVCB promotes the destination brand experience and the development of communities and businesses for leisure and event visitors with the emphasis on generating overnight stays, increased visitor spending and achieving higher county quality of life. The office is responsible for the day-to-day activities, as well as long-term strategic planning. 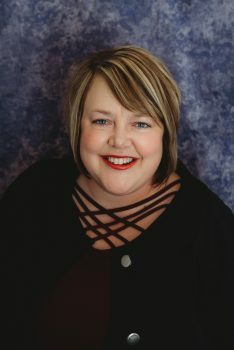 Prior to coming to the Visitors Bureau, Heather was an insurance agent with Shelter Insurance for three years, served as the director of Home by Choice (a senior care agency) for two and half years and spent eight years as community relations and volunteer manager for Franciscan Health Crawfordsville (then called St. Clare Medical Center). Heather and her husband, Kyle, reside in southern Montgomery County with their two children, Macie (14) and Gunnar (11). She currently serves as Vice President of the MUFFY board, as well as President of the Southmont Junior High Softball Club. Heather and her husband are also co-owners of Straight Paths Driving School. Her kids are very active in sports, so the majority of her free time is spent traveling to various parts of the state, as well as surrounding states for their events.